Do you have an admiration for insects? 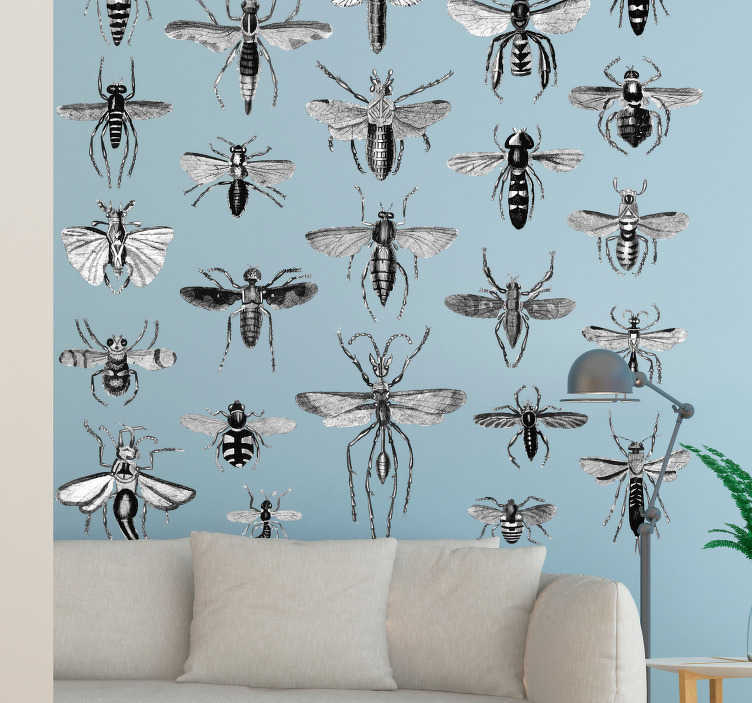 Whether it be the fly, the wasp, the bee, the hornet, the mosquito, the dragonfly, the cricket, the ant, the Daddy long legs or any other insect, they are on this stunning piece of insect wall decor! And, on the subject of Daddy Long legs, did you know that they are the most venomous animal in the world; only with fangs that are too weak to pierce skin? That is why they are worthy of a place on this fantastic animal wall decal!